DULLES, VA — Integrated Design Group is an architecture and engineering design firm with offices in Dallas, Texas and Boston, Massachusetts focused singularly on the design of data centers. IDG was founded on the value proposition that design services, architecture and engineering, delivered on an integrated basis from project inception to completion, results in an efficient, flexible, cost conscious, practical, sustainable data center. IDG is a team of over fifty like-minded professionals focused on data center design, working together to achieve the optimum design for their clients. 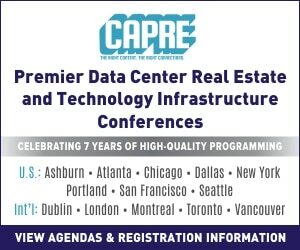 IDG will be a sponsor at CapRE’s 2019 Data Center & Cloud Infrastructure Forecast East in Dulles, VA on January 31. In anticipation for the summit we connected with two IDG principals — Dennis Julian & Gary Murphy — to learn more about their value proposition, perspective on the industry, and plans for the Forecast. CapRE: Thanks for chatting with us today. We are looking forward to seeing Integrated Design Group at our upcoming Data Center & Cloud Infrastructure Forecast East in Dulles. Please share with our readers a bit about IDG and your vision. Gary: Integrated Design Group is an architecture and engineering company focused on the design of data centers. Our name stresses the vision of the firm, that we believe integrating architects and engineers on the design of data center creates a better and more efficient design. CapRE: And what is IDG’s secret recipe for success? Gary: It is all in our name. We believe that design which integrates engineering and architecture makes a much more efficient and cost-effective design. Our architecture is driven by MEP systems – that is 50%-70% of the cost of the facility. In addition, with the proper architectural design, we can make those much more effective and efficient. Our understanding of those economics benefits our design. CapRE: Thank you. So how was 2018 for IDG? How would you characterize your activity? What observations or themes would you use to describe the last year? Gary: The biggest observation has to do with the ever-increasing hyperscale market. We are working on more and more hyperscale projects that can be dozens into hundreds of megawatts in multiple buildings on the same campus. It is common to have 100-200 megawatts on the same campus. 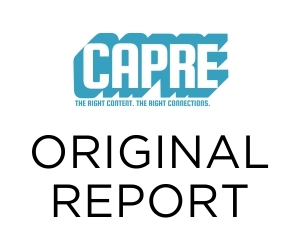 CapRE: So what is coming up in 2019? Will the hyperscale trend continue? Why? Dennis: We anticipate that hyperscale will grow in 2019. The need for data processing and storage is growing exponentially and these large data centers are essential to the business units and will be supplemented by many edge data centers, for localized compute though. CapRE: From a demand side, do you see facilities getting larger? What are you seeing in terms of the number of competitors? Dennis: I see the facilities getting larger and more concentrated into campuses. One of the problems the industry is facing is a shortage of qualified personnel. Therefore, by consolidating, you are able to make more efficient use if your operations & IT people and you are able to manage more cost-effectively. I see a large number of competitors in hyperscale. With financial markets the way they are, data centers are being seen as a good investment vehicle. So we are seeing many more developers and new start-ups coming into the business. It is a great business to be in, from a real estate perspective. Gary: And large-scale infrastructure companies are starting to consider the internet and the cloud as almost a utility-type infrastructure. Therefore, you have people like Brookfield, Fortress, and others who have their investment portfolio in infrastructure starting to make big investments in the internet. An example of this is Brookfield purchasing the AT&T portfolio – traditionally they would not have been in this market. CapRE: What are you guys looking forward to most about our upcoming Data Center & Cloud Infrastructure Forecast East? Gary: I am most excited about the market itself. Ashburn is the biggest market in the world, and I want to hear about what happened last year and what will happen this next year., I want to get a good feeling from the different contractors and owners about the trends they are seeing. CapRE: Speaking of markets, are any markets heating up from your vantage point? Gary: We saw a lot of activity in Columbus, Ohio, about a year ago but that has slowed down a bit. I am not sure if the market is just catching up and absorbing, but we are waiting to find out and see what is coming up next. There is also a lot of activity in Phoenix and that is exciting. CapRE: So let us talk about Northern Virginia. How is IDG poised to navigate this unique marketplace? Gary: Our integrated design process really delivers a value design that does not cut corners or decrease scope. It allows you to design the same product in a way where can be built more efficiently. We have been active in Ashburn continuously, since 2006. We have done multie projects for multiple clients including several master campus plans. Our up-front planning process with the local authorities and the local communities, gives us a clear understanding of what they require. We understand the permitting process and requirements inside and out. Dennis: For example, given the high cost and scarcity of land, we started doing multi-story data centers years ago, to improve the economics and ROI of purchasing that property. CapRE: What about the unique challenges of Northern Virginia? Gary: One of the challenges of the market is the distinct shortage of skilled labor especially on mechanical and electrical labor side. We are focused on modular systems, off site construction system and various components built in factories off-site and installed on site. That really helps alleviate that problem and speeds up the schedule. We started that in 2010, back in Ashburn. CapRE: Let’s talk about the technical side of things – any trends in systems that are different now from back then, say, 2006? Gary: The systems are different, but the biggest issue is, again, the lack of qualified personnel on both the construction and design side, as well as the operations side. So we’re working very hard to make things repetitive and easy to implement and very intuitive. We detail our drawings enough that, even with a variety of experienced contractors, we can get the same product that we are looking for. Therefore, we are working on keeping designs simplified so it can be easy to train operating personnel and implement in the field. CapRE: Got it. Thanks for all of your time today, and we will see you January 31 in Dulles! 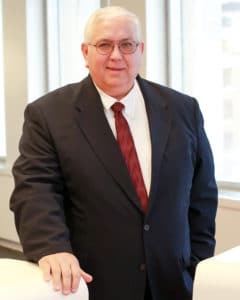 Dennis Julian, PE, ATD, DCEP is a principal, electrical engineer, and MEP/FP subject matter expert at Integrated Design Group, with extreme depth of knowledge of engineering and over thirty years of experience in data center design. Dennis has worked with many hyper-scale, wholesale, colocation and enterprise clients in individual buildings, campus developments and rollouts. An original contributor to the ANSI/BICSI-002 Standard for Data Center Design and Implementation Best Practices and Dennis continues to contribute during the regular update cycles. He is also a Data Center Energy Practitioner DCEP and Accredited Tier Designer/ Uptime Institute ATD since 2009. 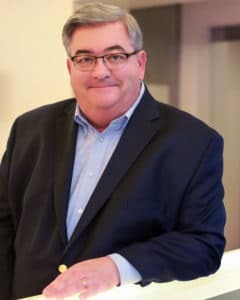 Gary Murphy is a founding partner and principal in charge of the growth of mission critical business at Integrated Design Group. Gary is responsible for maintaining ongoing customer relationships as well as developing new long-term clients. Gary has been involved in a wide variety of mission critical projects, from large-scale multi-tenant to a broad range ofenterprise data centers.